An Englishman in Colombia: That's more like it!! It has been a full day for both of us, Marcela has spent the day cleaning the house from top to bottom, I on the other hand, have been doing a variety of tasks. Firstly, I decided that we are due for the inspection of the Septic Tank, in order to get our ten year certificate, I knew that there were some no nos floating in the solids tank, things which people should not have flushed at some time in the past, and in the fluids tank was a plank of wood floating around, all of which could have got us a failure. I made a grab hook out of an old broom handle with a bent nail in the end, and lifted the solids tank lid, the sanitary towel had disappeared, probably sinking into the mire, but the condoms were still floating around, so one by one I fished them out, it was like being at the fair ground, trying to hook a goldfish...ha!ha! these went into a prepared container lined with a bin bag. 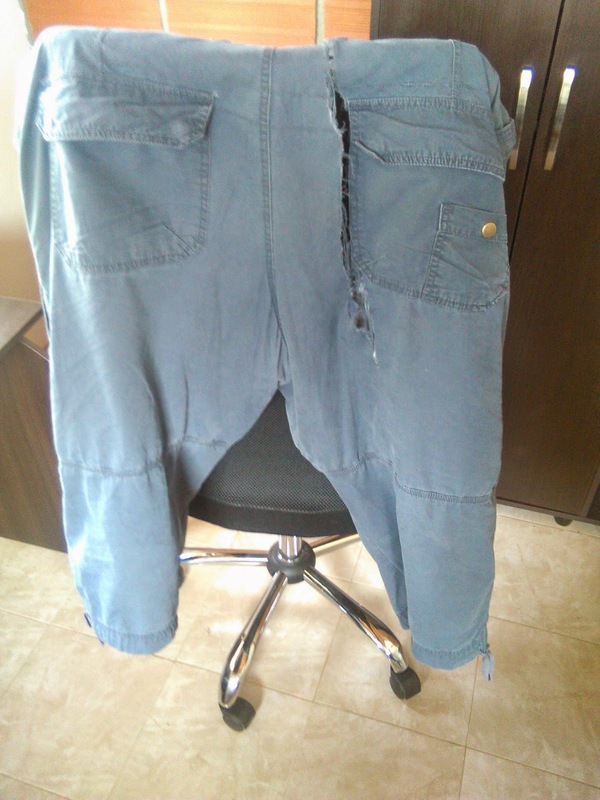 However on reaching for the last one, there was one almighty tear, and I knew that my trousers had split, I wasn't overly surprised, I had had these 3/4 trousers for years, and I guess they were ripe. Marcela who was watching from a safe distance, in the dining room, thought it was hilarious, I was just glad I was wearing underpants! I couldn't stop, the job had to be finished. I finished in the solids tank, then it was on to the fluids tank, I roped in Marcela to hold the tank lid upright, whilst I hooked the plank, then reached down and plucked it out. Job done...excuse the pun! I then bleached my rubber gloves before removing them, and went upstairs to change. I did some work on the Gazebo / kiosk roof design, I still haven't come to a final decision, which I am going to have to do soon, so I can order the wood. However I was getting nowhere, and put it aside before I made mistakes which would have resulted in either the structure not being safe, or not ordering the correct timbers. It was back to manual labour, I started digging the garden, technically this is Marcela's area, but I needed to work off some frustration, and I explained this to Marcela when she came out and asked me what I thought I was doing on 'her patch', I think she was secretly relieved that I was doing some of the hard labour, I have always said that she can choose what plants she wants, there are only a couple I would like, one is a 'Galan de Noche' ( also known as Dame de la noche), which gives off a lovely scent on a warm evening, and the other is plumbago, for the roadside bed, which will fill the area, give us some privacy, and be covered in blue flowers. Once I had had enough of digging, it was down to the workshop, I desperately need more storage space for my timber, so it was time to sort that out. I had saved the four side bars and bolts from the prison bunk-beds that had been left here, so decided to put these to good use, I also had a stack of hardwood planks that had been left amongst the rubbish by the previous owner, having removed all the nails, I had them stored on the parking area, it was time to put some to good use, so I cut four lengths to use as legs, to be bolted to the side rails. Due to the size of the overall project it was really a two man job, but taking it slow, I was able to get the pieces in position and bolt them together. I then cut some cross pieces to hold the two sides together. Unfortunately now was the time I needed some outside space, to move some of the workshop contents, whilst I arranged the new storage unit, but the heavens had opened, and we were having a tropical storm, Pépe had been banished from the house by Marcela, so he had taken refuge with me, but insisted on trying to eat every bit of rubbish he could find. In the end I gave up, the unit is made and in position, it just needs some supporting slats, to rest the timber on, until them, my workshop looks as if a bomb has hit it, with timber everywhere. I have built it so that the first timber supports are a metre above the floor, that way I can store other equipment underneath. Once it is all completed I will post a photo. By this time, it was nearly 6pm, Marcela was still hard at work, and still is at 10pm, so we sat, had a natter, followed by a snack tea, before I came upstairs, had my shower and came into the office. All in all it has been a good day!